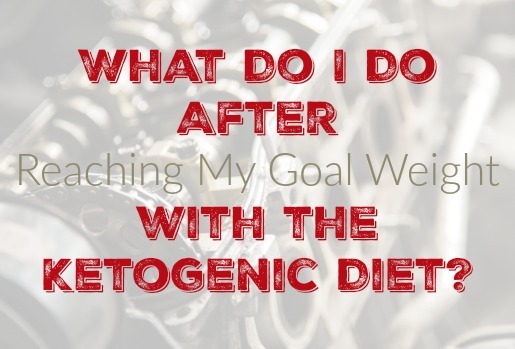 We are continuing our look at FAQ’s for the Ketogenic Diet. 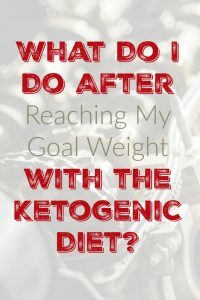 By far most of the questions I get are how to lose weight with the Ketogenic diet but what about after you lose the weight? It’s difficult because it’s a whole new world. Instead of marching toward a goal, (Like my goal of a 200 lb weight loss) you are instead hovering around the same weight all the time so it can be easy to lose focus. Here are some tricks and tips I have used to maintain my weight so far. It was incredibly important to figure out a new goal to shoot for to replace my old weight loss goal. For me this became a series of experiments to see how I would react to different things. January was a No Caffeine experiment that absolutely sucked and I am currently in the middle of a carnivore experiment that is going pretty well. Think about something that you want to accomplish and start working toward it. It can be an exercise goal like running a 5K or bench pressing 250 lbs, a body shape goal like a thinner waist or a broader chest, or maybe something more esoteric like meditating for a month. Whatever it is, I really believe that continuing to set and meet goals is an important factor in ongoing maintenance success. This is an old Southern saying that basically means continue doing what got you here. 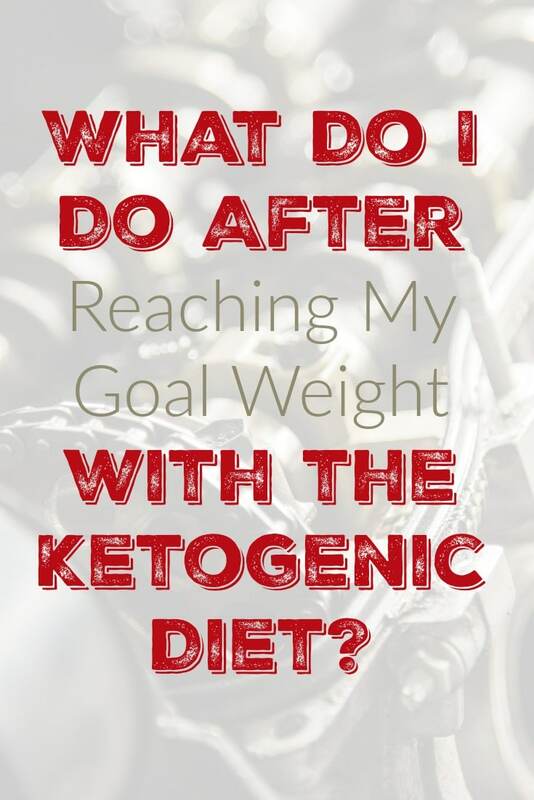 If a ketogenic diet helped you lose the weight, keep eating a ketogenic diet. Going back to doughnuts and Oreos now will only undo the hard work you’ve already done. I haven’t seen any hard science on this but my own personal experience tells me that it is much easier to pack on weight if you have already been obese. I don’t think I’ll ever be the kind of person that can just eat whatever whenever and not put on weight. This is going to be an ongoing fight so I can’t give up now. This is such a tough one. You are so used to seeing yourself as obese that it can be difficult to see yourself as someone at a healthy weight. I still tend to shop for clothes that are way too big for me. I can still walk by a mirror and not recognize myself immediately. It’s weird I know but you spend a lifetime seeing yourself as the fat guy, it can be a little odd to not see all those extra pounds on you. I have found that some of this will change in time as you continue to get used to the new you but in the mean time, enjoy and celebrate the changes. I will tap my collar bones that I could never see but are now prominent or rub my hip bones and remember the days when I had no idea they existed. These are the results of years of hard work so I try to see them as trophies earned. This was a very surprising lesson for me to learn. Once I met my goal weight I figured I had conquered my demons and I could take my foot off the accelerator a bit and just kind of coast. Nope! Turns out the exact same things I struggled with before keto were all still there. I learned that I still can’t have one donut or cookie, I can have none or all of them and then go buy a second box. Moderation just seems to be beyond me. I had to learn exactly what my triggers were and how to avoid them. For me, I knew that any time I got less than 8 hours sleep or things were stressful at work that I needed to be careful about being around any sugary snack. I learned that free food in the breakroom would call out to me throughout my shift. I learned that I still had the same addictive, binge-prone personality I had at 400 lbs. Once I learned my triggers, I could take steps to handle them. If I went to work tired, I would buy a tin of sardines to eat halfway through my shift instead of fasting throughout. If there were free donuts in the breakroom, I would just throw them away. (I work nights so they had been there all day by the time I got there so it wasn’t like I was depriving anyone of anything.) In short, I learned my triggers and developed strategies for defusing them. What about you? Have you developed any tricks for maintainning a healthy weight? If so, I’d love to hear about them in the comments below! PREVIOUS POST Previous post: This Week in Low Carb News: Why Kids Get Hurt More and Cheap Viagra?